High School Head Volleyball Coaches, are you looking to make running a practice EASIER, more EFFICIENT, and EFFECTIVE? Are you looking to leapfrog your program forward? We are excited to share with you our NEW Volleyball1on1 Practice Plan Outline Poster © ( 24” by 36” inch)! Built in Mini-Game Tables for groups of 9, 10, and 12 players. Space for players names, individual S.O.S. Stress Output Score ™, and results from Mini-Games. Built in headers for: Life Theme, Practice Theme, Quote Of The Day, Team Building Exercise, Skill Building Warm Ups, Blocking Trips, Breakout Sessions, Butterfly, Skill Tutor, Tutor Drills, Practice Specific Verbal Cues, 6 on 6 Wash Drills, Earned vs. Un-Earned Scoring and more. *In addition, this poster facilitates making it EASIER for less skilled coaches to run a successful productive practice. *In addition, this poster facilitates making it more EFFECTIVE for less skilled coaches to run a successful productive practice. Creating an “ownership environment” whereby players can be more involved in the decision making. This is critical for building trust and getting your players “buy in”. Reinforcing a more competitive environment in practice. Including space for team and individual S.O.S. Stress Output Score ™. Reinforcing “It’s Bigger Than Volleyball!” ® Our job as coaches is ultimately teaching life lessons through sports. Reinforces volleyball science for winning and our “What Great Looks Like!” ® Volleyball1on1 Playing Standard. Reinforces The “What Great Looks Like!” ® Volleyball1on1 Playing Team Culture. Reinforces The “What Great Looks Like!” ® Volleyball1on1 Playing Coaching Standard. Reinforces “Whole Person Growth” ™ through “Bump Up” ™ and recognizing excellence in others. “Keep Playing Volleyball!” ™ – Create a practice environment where kids keep playing beyond high school and college. This Volleyball1on1 Practice Plan Outline Poster works in coordination with the Volleyball1on1 Game Plan Offense Poster. *This helps facilitate ALL SKILL LEVELS of coaches running a more effective practice. Based on our client feedback and market analysis, we believe this poster may be the solution for some of your greatest concerns, stresses and problems as a High School Head Coach. Volleyball1on1 offers a FRANCHISE LIKE SYSTEM for High School Head Coaches coaching volleyball. Volleyball1on1 Game Plan Offense Poster ©, “What Great Looks Like!” ® – Volleyball1on1 Playing Standard ©, “What Great Looks Like!” ® – Volleyball1on1 Team Culture ©, “What Great Looks Like!” ® – Volleyball1on1 Coaching Standard ©, Volleyball1on1 Coaching Manual – 2019 Version ©, Volleyball1on1 Superior Coaching Systems ®, 31 Full Volleyball1on1 Practice Plans ©,Volleyball1on1 Player Empowerment Cards, Volleyball1on1 OODA Loop Volleyball Vision Training Blueprint, Peak Performance Vision Training Posters, Volleyball1on1 In Your Gym Coaches Clinic, Volleyball1on1 Online Video Coaching Library – the result is a proven franchise like system that works for all teams, Freshman, JV, Varsity, across all skill levels, regardless of your coaching experience or coaching skill level. For example, if you wanted to run a successful coffee store, would you be more successful if you opened your own store or if you went out and followed a system by opening and licensing a Starbucks or Peets Coffee proven business system? *Please note, our products and tools are specifically developed and packaged exclusively for only our Volleyball1on1 Summer Camp 2019 and Weekend Club Clinic clients. 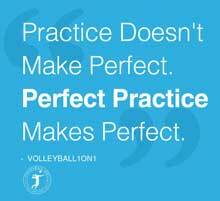 **If you are interested in learning more about our High School Volleyball Camps or Weekend Club Clinics Schedule a call. In the call we will review your goals and if a Volleyball1on1 Summer Camp can help you reach them.